Denmark’s disc golf scene is usually recognized by two things: the Copenhagen Open and 11-time Danish Champion KJ Nybo. 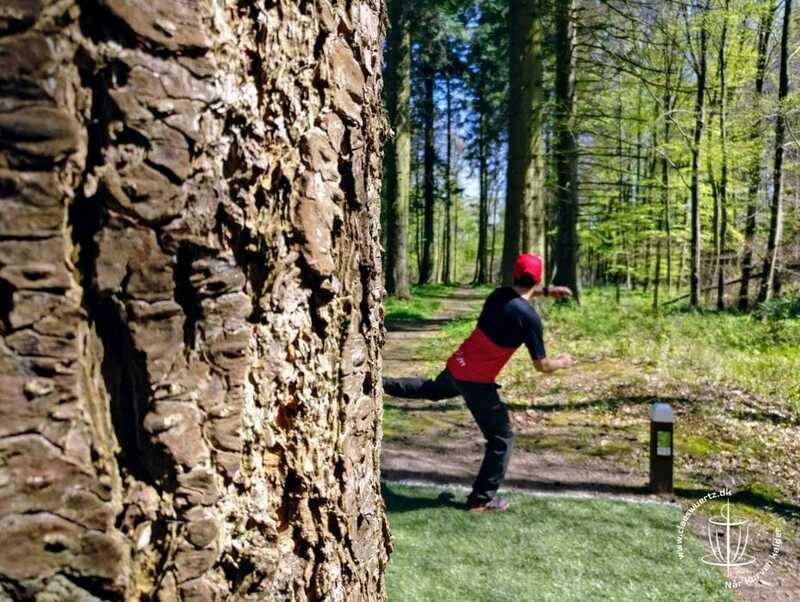 While Nybo’s presence was definitely felt at last weekend’s EuroTour event, the Kokkedal Open also put itself on the map for Danish disc golf. Nybo would go on to win with a 33-under par 187 to Martin Spliid’s 23-under par 197. The next three spots were separated by single strokes, as Thomas Rasmussen of Denmark took third with an 18-under par 202; 2016 Norwegian Junior Champion Jonas Pettersen finished in fourth with a 17-under par 203; and fellow Dane Kristian Spliid’s 16-under par 204 rounded out the top 5. Entering the event as the consensus favorite, Nybo tried not to let the pressure of performing in front of the locals affect his play. Nybo completed the first round with a two shot advantage, perhaps leaving the door open for local Martin Spliid or German Torsten Baus, who was tied for second entering round two. Spliid did his best to hang with Nybo, but Nybo birdied the entire front nine of the Fredtoften course to stretch his lead to six at the turn. It was a remarkable display of shot-shaping, speed control, and managing elevation that showed why Nybo is considered of the world’s best players. Nybo’s second round rated an unofficial 1058 and established a commanding lead heading into the final day. With such a lead going into the last round and finals, Nybo honed in on some mental strategies to stay focused. Indeed, Spliid used the third round to shave three shots off of Nybo’s lead, only to see Nybo catch fire yet again in the finals, besting Spliid by five over nine holes. With their strong showings, Rasmussen and the Spliid brothers-in-law showed that, while Nybo is unquestionably the face of Danish disc golf, he’s not alone. Separated by a mere five ratings points from his brother-in-law Kristian, Martin Spliid said there are benefits to competing with a family member. On the women’s side, Swedish pro Camilla Grundén took the win with an 11-over par 231 performance, including an unofficial 952-rated second round. She certainly started the round on the right note, hitting a 97-meter downhill ace on hole 4 of Fredtoften. The Open Women’s division had an international podium, with three-time Norwegian Champion Sigrid Sandum in second place with a 21-over par 241 and reigning German Champion Wiebke Becker finishing third after shooting a 25-over par 245. While some top quality golf was on display over the weekend, the real story may be the evolution of the event itself. Escaping the shadow of the legendary Copenhagen Open, the Kokkedal Open made its claim to be a true tentpole event for the EuroTour. The tournament garnered rave reviews for its courses, atmosphere, and organization. Tournament staff was ambitious this year, raising the field from 90 to 144 players and bringing in Marty McGee to film with the support of presenting sponsor Prodigy Disc. The KO’s commitment to running a quality event was apparent with ample volunteers, an active and organized club presence, and beautifully maintained courses. Members of both Karlebo Frisbee-Golf Klub and Eghjorten Hillerød Disc Golf helped everything run smoothly, and there were even a group of retirees out spotting for the entire weekend. And the country’s marquee player certainly hopes to see the KO continue to develop and grow. The EuroTour continues with its fourth event from May 25-27, when close to 500 golfers will travel to the Westside Discs Tyyni in Helsinki and Sipoo, Finland. The EuroProTour, meanwhile, officially kicks off when Europe’s biggest names will compete in The Tali Open in Helsinki, Finland, the week prior, from May 19-21. 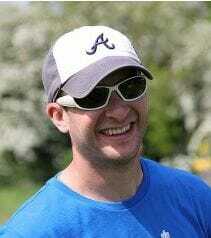 Dean Schaub is the European beat writer for Ultiworld Disc Golf. He runs the disc golf club in Amsterdam and the annual AMSterdam Challenge tournament. He is also a primary school math (and disc golf) teacher. Contact him at DSAdiscgolf@gmail.com and follow him on Instagram. Comments on "EuroTour: Nybo Takes Kokkedal Open Win"